Beautiful homes, swimming, tennis, winding trails along the creek and more await you at Reedy Fork. Located just 15 minutes from downtown Greensboro, NC, we are also convenient to Reidsville, Burlington and Danville, VA.
Reedy Fork Ranch development began in 2001 and has since grown into a beautiful master planned community with over 850 homeowners. Breath-taking landscaping leads you into the walkable community with sidewalks in every neighborhood, as well as paved trails through the greenway. We have new homes built by True Homes and D.R. Horton, as well as re-sale homes on the market and ready for you to move in. The community also offers playgrounds, a Jr Olympic pool, a clubhouse for private events, paved walking trails along the creek and family fun activities throughout the year. Inclusion in the homeowner’s association allows access to all of our amenities for a low cost of only $50/month. 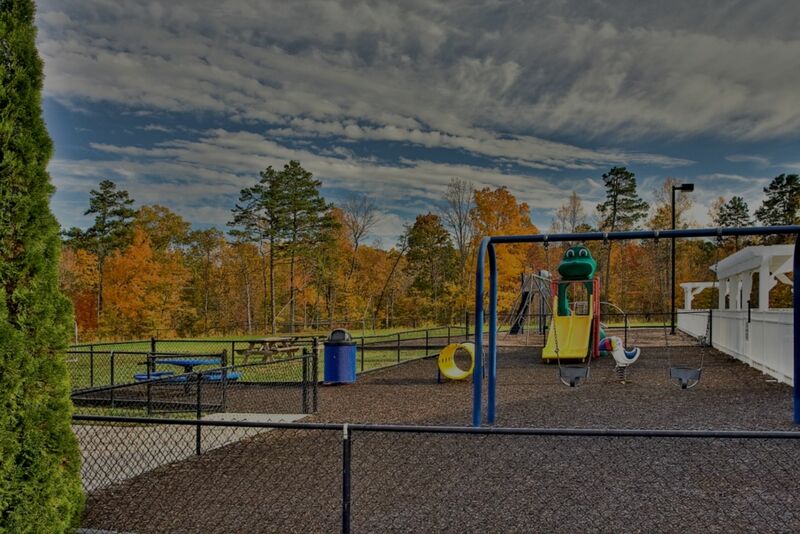 The community is home to Reedy Fork Elementary School which first opened it’s doors to K through 5 students in 2007 and Reedy Fork Early Learning Academy which provides daycare services for ages 0 – 12. Just one and a half miles from Reedy Fork, you’ll find a major supermarket, dry cleaner, restaurants, banking, pharmacy and more. Additional shopping is located less than 10 miles away at The Village of North Elm with a variety of specialty shops and dining. Nearby Bryan Park offers golfing, picnicking and athletic fields. Our Kylind Realty office is located at the entrance to the neighborhood. You can check out our Featured Listings or stop by our office to find out more about the great homes for sale in the wonderful community of Reedy Fork. Prices range from the low $100’s up to the mid-$200’s. Reedy Fork Ranch offers all the amenities of the higher priced communities. No one knows Reedy Fork Ranch better than Kylind Realty. Come fall in love with Reedy Fork!